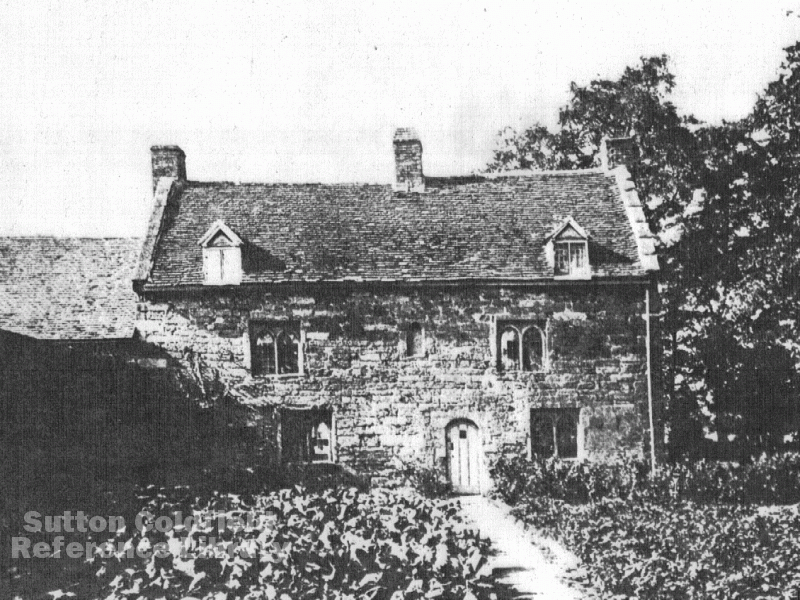 Ralph Sponer lived at the stone house known as Moor Hall Farm in 1550. It was conveyed to him in that year by Bishop Vesey - Sponer had married Elizabeth, a relative of the Bishop. Sponer was not a farmer - hardly any land was conveyed with the house, and most of that was occupied by the large pool nearby. After his death, his widow Elizabeth sold the property to Kenelm Yardley, in the conveyance deed it was described as the Dye House, so perhaps Sponer had been in the cloth trade. Kenelm Yardley, who was Warden of Sutton in 1617, owned Moor Hall, and the Dye House became part of the estate once again. The Sutton Coldfield rental of c.1640 gives Fulke Grosvenor as the owner of Moor Hall, and Ralph Gardner as his tenant - Gardner may have been a weaver, because the rental of 1742 refers to Moor Hall Farm as “the weavers tenement”. But by 1742, when John Addys was the owner of the estate, the so-called weaver’s tenement had developed into a farmhouse from where the farm bailiff of Moor Hall managed the agricultural work of the extensive Moor Hall Estate. Francis Beynon Hacket inherited Moor Hall from his uncle John Hacket in 1810. 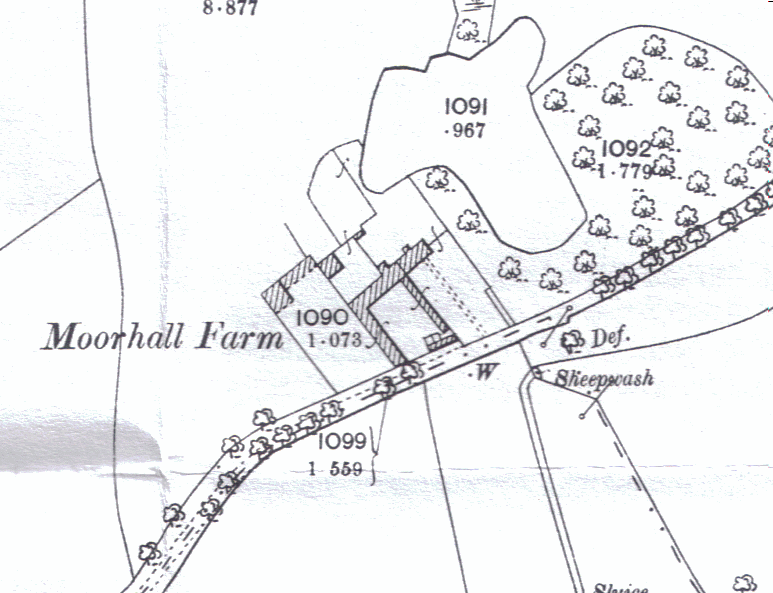 The property is plot 500b in the Corn Rent Schedule of 1824, described as “Farm buildings, Pool and plantations”, total area four and three-quarter acres, and F.B. Hacket has it in hand, showing that the farmer was his employee rather than his tenant. 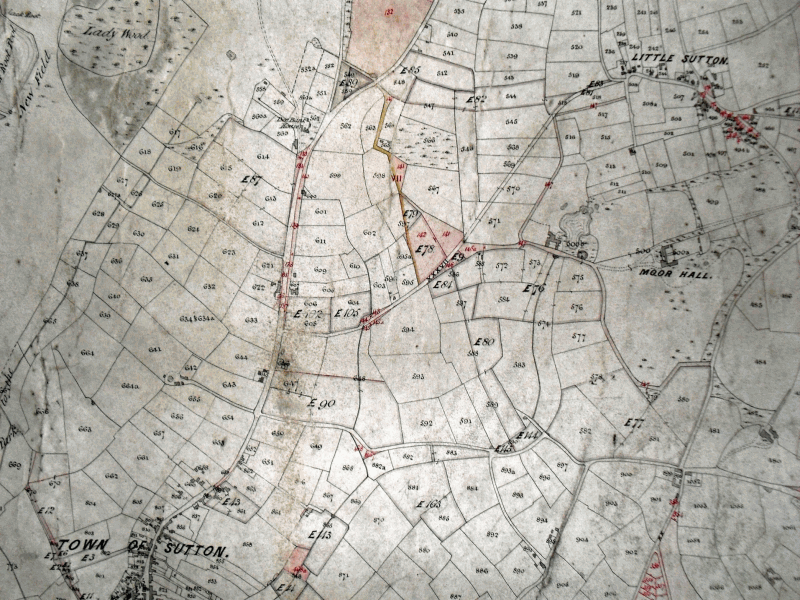 More detail is given of the farm in the Parochial Valuation of Sutton of 1856. There were two wings of farm buildings extending from the house to the road, one, seventy six feet long containing cowhouses and a turnip house, on the west side, and the other, eighty-one feet of open sheds, on the east side, enclosing, together with some pigsties near the road frontage, a large farmyard At the back of the house there was a large barn and some stables. The farmhouse itself was occupied by Joseph Ellison in 1851, described in the census of that year as an agricultural labourer, so it seems to have been used to house farm hands rather than the farmer. The occupant in 1861 was a 35-year-old shepherd, James Argyle. Another farm worker was living there in 1871, Elias Savage with his wife and five sons, but the next census suggests that the house had a higher status, having been repaired and renovated to a standard expected by a yeoman farmer - William Parsons was the tenant, a “farmer of eighty acres employing two men”; he was 24 and his young wife had a baby son; also living there were his younger sister, a 15-year-old servant girl and a farm hand aged 16. The house remained a farmhouse until the 1930s, when it became the private residence of today.